Bebe Rexha makes her claim on the pop landscape with the help of Nicki Minaj. You might recognize Bebe Rexha’s name from her chart-climbing collaboration with G-Eazy, “Me, Myself & I,” but she can hold down a track of her own too. 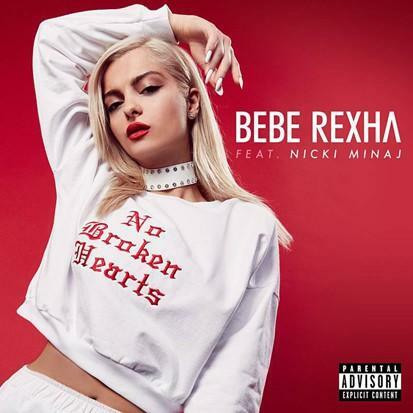 She enlists Nicki Minaj for a verse on “No Broken Hearts,” a song about shaking off whatever break up or lost love that’s bringing you down. The song features cleverly used string melody to accompany the verses, and the chorus is 100% pop anthem. You better get used to hearing this one, because it’s going to be your girl’s go to turn up jam in not too long. Nicki Minaj contributes a fast-paced verse, and we’re always happy to hear her spitting some dope bars.